The 9130 is constantly monitoring power conditions - regulating both voltage and frequency. 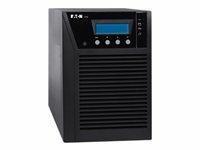 Even when presented with the most severe power problems, this UPS's output remains within three percent of nominal voltage. With a wide input voltage range, the 9130 does not depend on batteries to smooth out minor power fluctuations. Batteries are conserved for those times when utility power is highly unstable or completely out. If an outage occurs, the 9130 transfers to battery with zero interruption in power, making this an ideal UPS for sensitive and critical equipment. 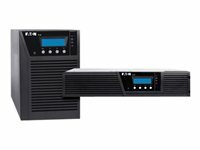 High 0.9 output power factor enables the 9130 to provide its full power capability to modern IT equipment that may have a wide range of leading and lagging power factors. 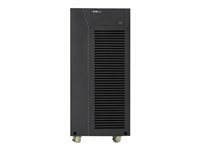 With a 0.99 input power factor, this UPS avoids the disturbances that some energy converters tend to cause. The more efficient the UPS, the lower your utility and cooling bills. Even a small increase in efficiency can quickly translate into thousands of dollars. When power conditions are within acceptable limits, the 9130 can operate in a remarkably high-efficiency mode - 95 percent efficient or higher. 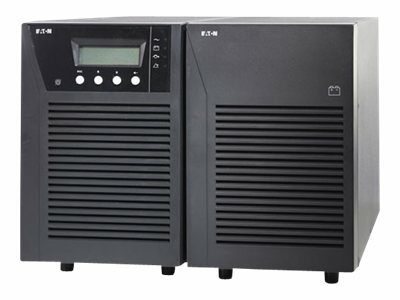 Most UPS manufacturers on the market today employ a constant 'trickle-charging' system, which can ultimately reduce potential battery service life by as much as 50 percent. In contrast, ABM technology uses sophisticated sensing circuitry and an innovative three-stage charging technique that significantly extends UPS batteries' useful service life while optimizing their recharge time. You have ample time to hot-swap batteries without ever having to shut down connected equipment.